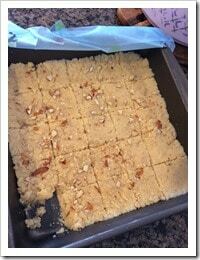 Kalakand or Milk cake finds its origins from Rajasthan (as per good old Wikipedia). This popular Indian sweet made mostly during festivals is made by mixing milk and sugar and boiling it while it is continuously stirred till reaches a semi-solid consistency which almost takes a couple of hours. Hang on…this recipe does not take that long..It takes less than 20 minutes..seriously! I first made this recipe almost a couple of years back at my DH’s insistence. 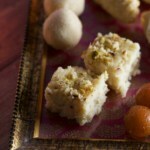 As usual, during Diwali, I was on a sweet making spree and he asked me if I could make Kalakand and off I went to the internet and found this recipe at showmethecurry.com. I modified the recipe a bit to make it work me. Try it out and let me know how it worked for you. 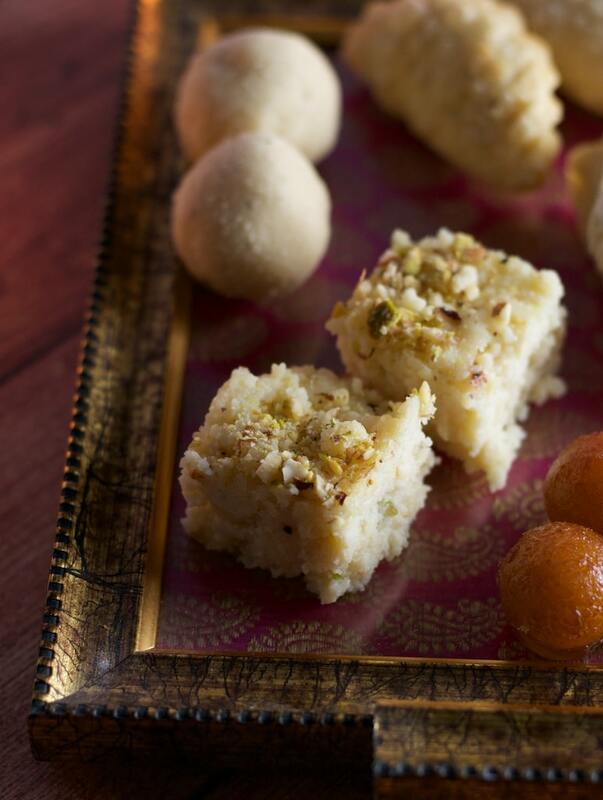 This delicious Kalakand recipe is everyone's favorite sweet to feast on during Diwali. It is perfect for potlucks or for a large crowd since it comes together in under 30 minutes. 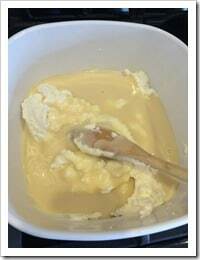 In a microwave safe dish, mix the Ricotta Cheese, Sugar and Condensed Milk well to remove any lumps. Place the dish in the microwave and cook it for 5 minutes uncovered. Take the mixture out and mix well. Cook it in the microwave for 3 more minutes. Microwave for 3 minutes, covered. Stir well. 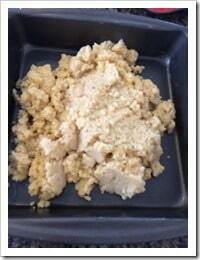 Put it back in the microwave for 2 minutes, take out and mix. 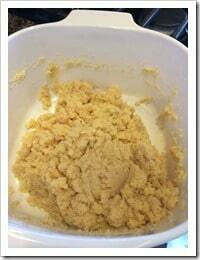 Repeat this process (microwaving it for 2 minutes and mixing) 2 more times, each time mixing it well. Add in 1/2 of the chopped almonds and powdered cardamom (if using) and mix well again. 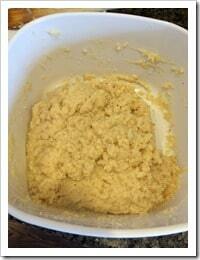 Transfer the mixture in a 9X9 pan and use the back of your spoon to flatten the mixture. 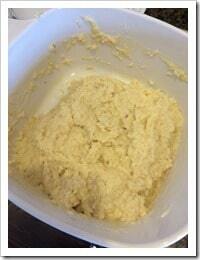 Sprinkle the remaining chopped almonds and press them into the mixture. When it is completely cold, separate the squares and store in the refrigerator. Consume it in 2-3 days.